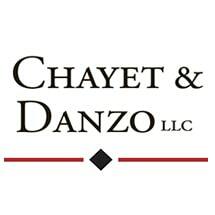 Chayet & Danzo, LLC is a client-focused law firm located in the Cherry Creek area of Denver, Colorado, serving individual and business clients. Our attorneys provide the highest quality legal services and professionalism, while representing our clients in a cost-effective manner. Chayet, Dawson & Danzo LLC combines the personal attention of the principals in every project, with the assistance of well-qualified associates. We understand that both our business and individual clients often seek our counsel during anxious or sensitive times. For this reason, Chayet, Dawson & Danzo LLC not only gives swift, uncompromising attention to the legal issues, but also focuses on making the process more pleasant. It is the client relationship that we value and we approach every legal concern from this point of view. Chayet, Dawson & Danzo LLC was created on the belief that service and results are the most important aspects of a legal practice. We make every effort to quickly provide our clients with an understanding of their situation and we work to provide solutions that fit their needs. Chayet, Dawson & Danzo LLC uses its expertise to aid its clients effectively and efficiently. We view our clients' concerns as challenges in search of solutions. We believe that attorneys should improve the process, not become burdens upon it. Whether working with individuals or businesses, Chayet, Dawson & Danzo LLC strives to move the process forward, while actively advancing its clients' position. The principals founded Chayet, Dawson & Danzo LLC to focus on providing clients with exceptional legal work and individualized attention. Our specialties and experience enable us to offer clients the sophistication of a large firm and the personal service, cost effectiveness, and innovation of a small firm. Chayet, Dawson & Danzo LLC is committed to creating value for its clients through comprehensive advice and efficient use of resources and technology. Chayet, Dawson & Danzo, LLC is a boutique elder law, estate planning, and disability firm representing clients throughout Colorado, including the cities of Denver, Aurora, Arvada, Boulder, Vail, Edwards, Aspen, Littleton, Centennial, Castle Rock, Wheat Ridge, Thornton, Westminster, Parker, Highlands Ranch, Cherry Hills, and Longmont, and throughout Denver County, Arapahoe County, Adams County, Boulder County, Douglas County, Eagle County, El Paso County, Jefferson County, and Summit County.